After the weekly shopping trip the fridge is so full that you have to play tetris to store everything. But cold beer is always in it – for the visit, the next party or just for you. To save place you can mount it to the top of your fridge with the magnetic beerbottle holder. The magnetic beerbottle holder offers space for up to three beers or other bottles. The magnets are neodymium magnets which can hold a total weight of up to 5kg. These 3 magnets are attached to a waterproof 3mm tape. Even 0.5 L bottles should not be a problem, according to the manufacturer and customer evaluations, so that also cans or other glasses can be attached to the magnetic stripe. It is still room to put other food underneath the bottles. For the price you get two of these magnetic strips which are each 20.3cm long and 3.8cm wide. They are only available in white but should perfectly integrate into your fridge because they are usually white. The upper compartment is usually larger than the others, so unused place can still be used effectively. 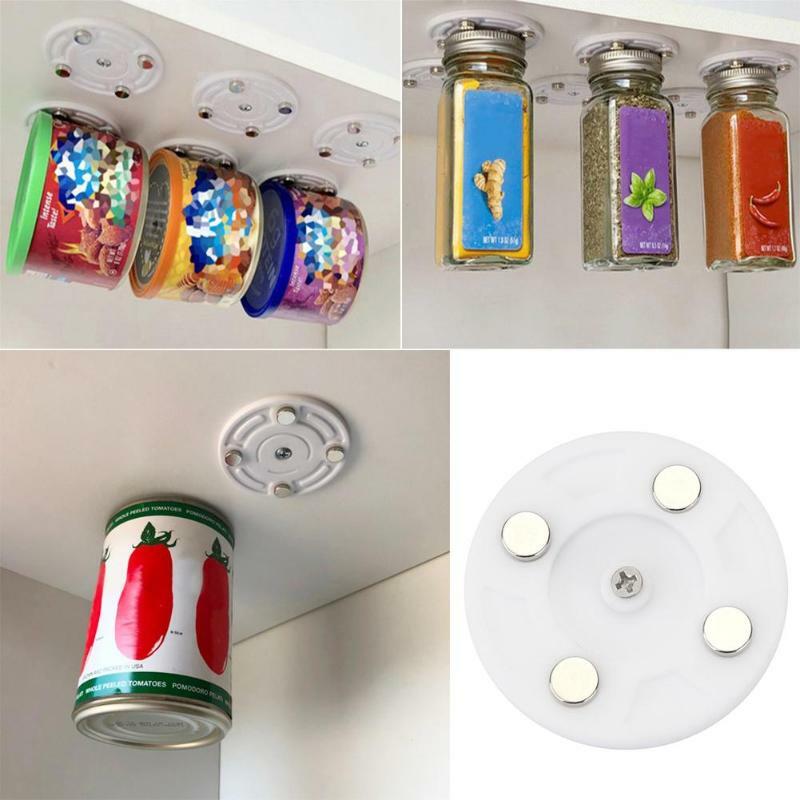 There are also smaller versions of this gadget, with which you can either also store beer bottles or can organize your cans in the pantry. This is available in two types: a circular or square design. The square is especially made for racks. We like the idea because it offers a simple solution to get more space out of the frige. Certainly the beer magnets are also a nice idea to give away. And you can not have enough beer gadgets .